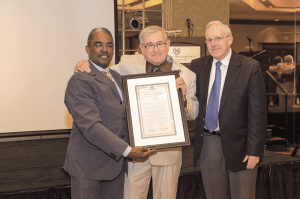 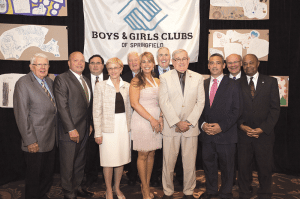 Gary McCarthy, executive director of the Springfield Boys & Girls Club, was recently honored by the Boys & Girls Club of America for his 50 years of service to the organization. 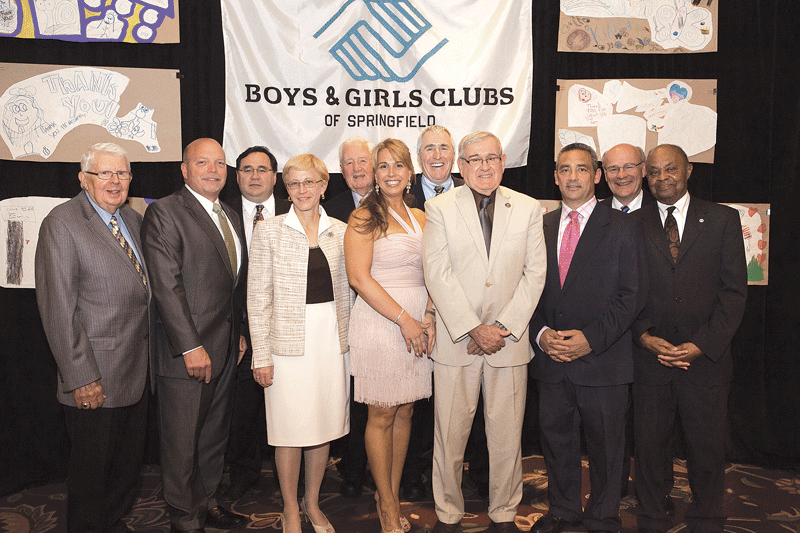 Top: McCarthy stands with the Springfield Boys & Girls Club board chairs who have served during his tenure: from left, William Fraser, Malcolm Getz, William Hadley, Diane Dunkerley, Jack Fitzgerald, Stacy Magiera (immediate past chair), Tim Gallagher (current chair), McCarthy, Vinnie Daboul, Timothy Crimmins, and Art Jones. 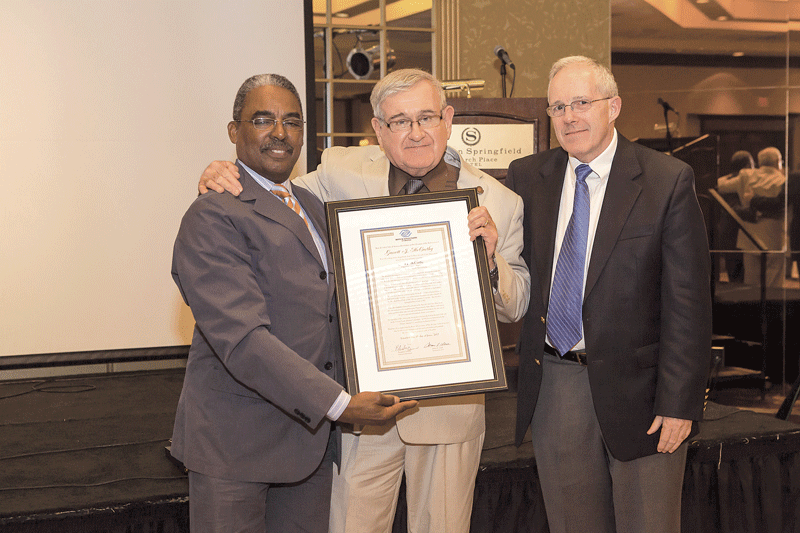 Bottom: from left, Gene Bailey, director of organizational development, National Boys & Girls Club of America; McCarthy; and James Hurley, director of development, National Boys & Girls Club of America. 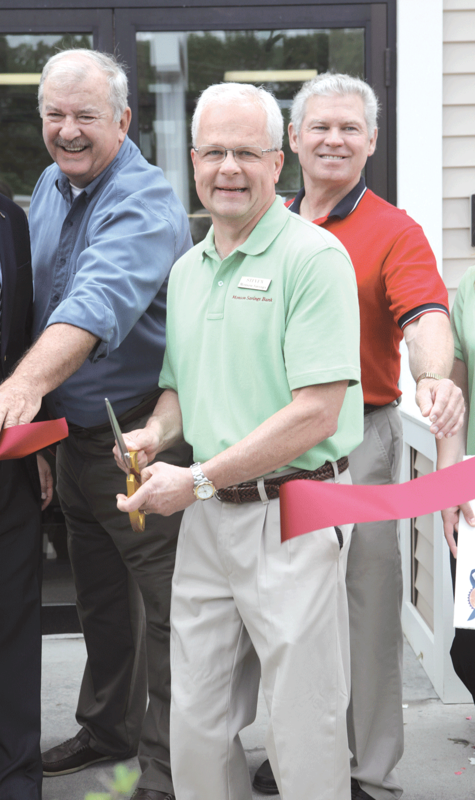 Monson Savings Bank recently conducted a ribbon cutting for its new branch at 136 West St. in Ware. Pictured, from left, are John Desmond of the Ware Board of Selectmen; Steve Lowell, president and CEO, Monson Savings Bank; and Greg Harder, chairman of the Ware Board of Selectmen. 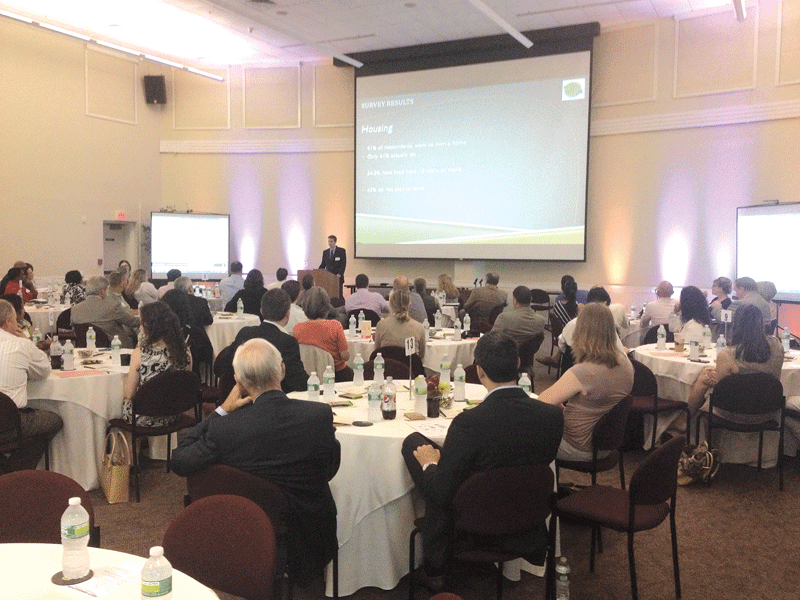 One of six teams of the Leadership Pioneer Valley (LPV) class of 2013, calling themselves the Next Generation Pioneers 2, celebrated their graduation with the presentation of a 10-month-long project on May 31. 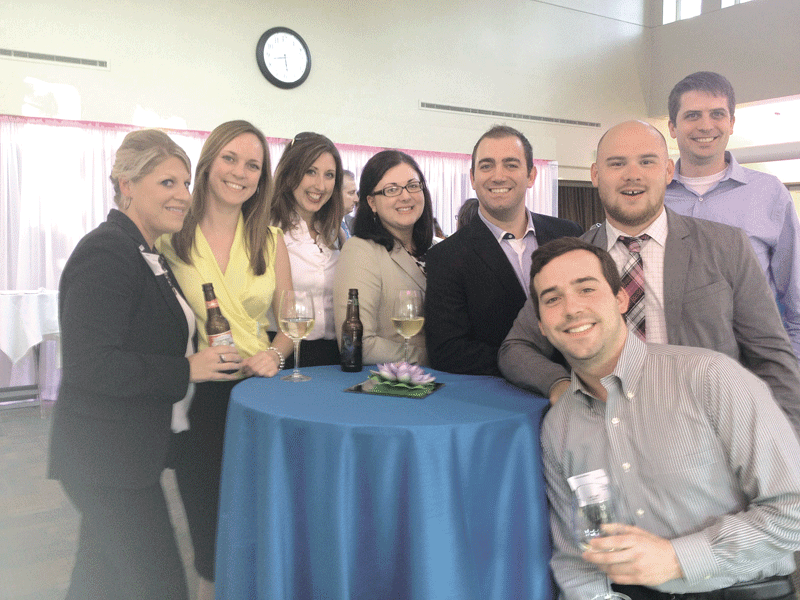 LPV strives to develop a network of emerging and existing leaders to address challenges and opportunities across the region. Bottom: from left, Christin Deremian, management, Human Resources Unlimited; Brittney Kelleher, commercial loan officer, Westfield Bank; Juli Thibault, talent acquisition marketing & operations manager, Baystate Health; Annamaria Golden, manager of Community Relations Benefits, Baystate Health; Alfonso Santaniello, president and CEO, Creative Strategy Agency; Jason Randall, director of Human Resources, Peter Pan Bus Lines; Peter Ellis, creative director, DIF Design; and Mark Sayre, actuarial consultant, MassMutual Financial Group. 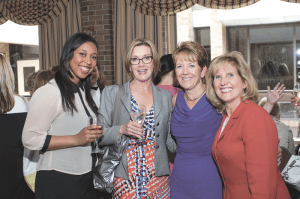 The Professional Women’s Chamber (PWC) recently honored Jean Deliso, president of Deliso Financial and Insurance Services in Agawam, as its Woman of the Year. Deliso was feted at the chamber’s annual dinner on June 6 at the Cedars in Springfield. 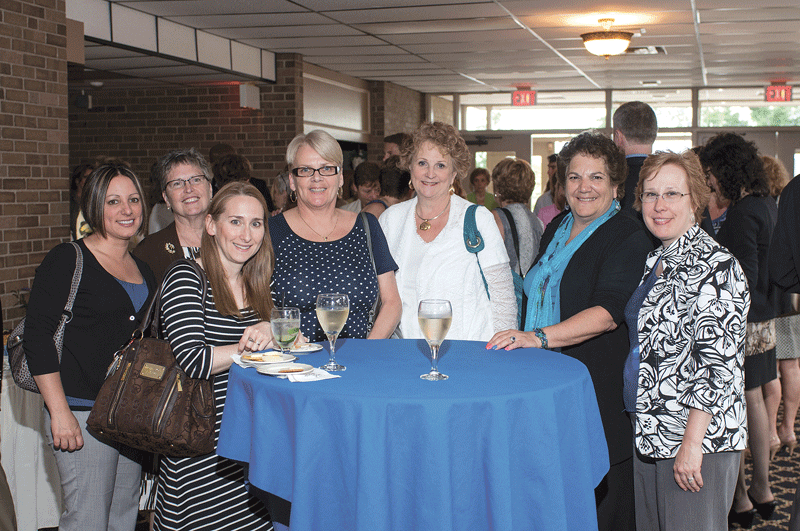 Top: Kristy Batchelor, branch manager, Hampden Bank; Laurie Cassidy, executive director, West Springfield Council on Aging; Amy Scribner, associate director of marketing, Hampden Bank; Peg Daoust, branch manager, Hampden Bank; Susan Dominick, branch manager, Hampden Bank; Debra Geisler, branch manager, Hampden Bank; and Nora Braska, training officer, Hampden Bank. 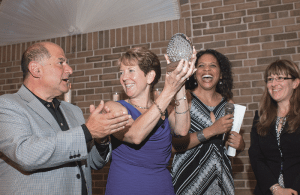 Middle: Dave Demos, vice president, Complete Restoration Solutions; Deliso; Alika Hope, co-host, Connecticut Perspective TV; and Michelle Cayo, PWC president. Bottom: Anita Bird, office manager of the Community Outreach Office, MGM Springfield; Kelley Tuckey, vice president of public relations, Eastern Region, MGM Resorts International; Deliso; and Jane Albert , executive director of the Baystate Health Foundation and vice president of Development, Baystate Health.